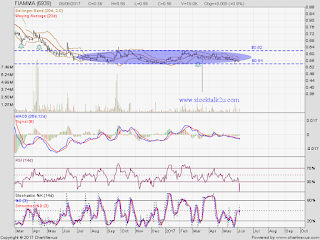 Immediate support @ RM0.54 level. Subsequent support @ RM0.50 level. 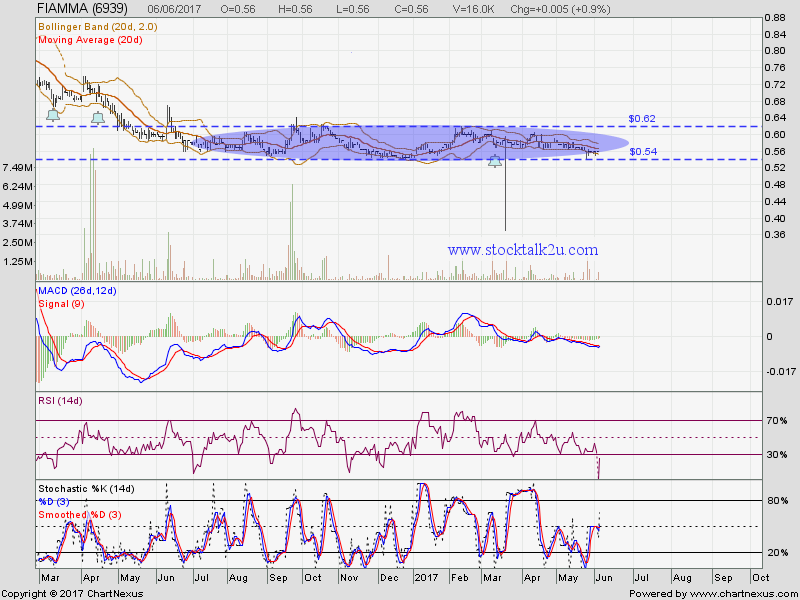 Immediate resistance @ RM0.62 level. Subsequent resistance @ RM0.66 level. 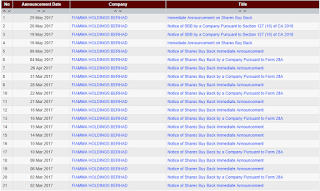 Insider keep on disposed the share after the share split & bonus issue. 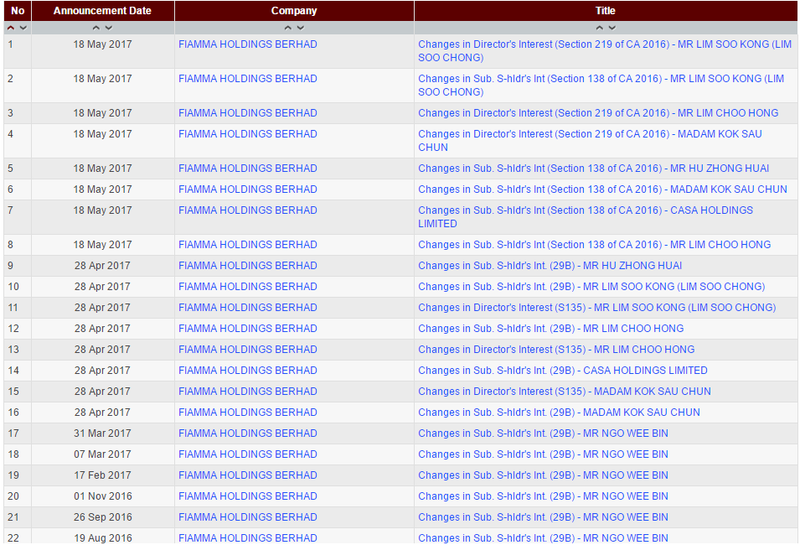 For more info, pls refer Bursa Malaysia website company announcement. 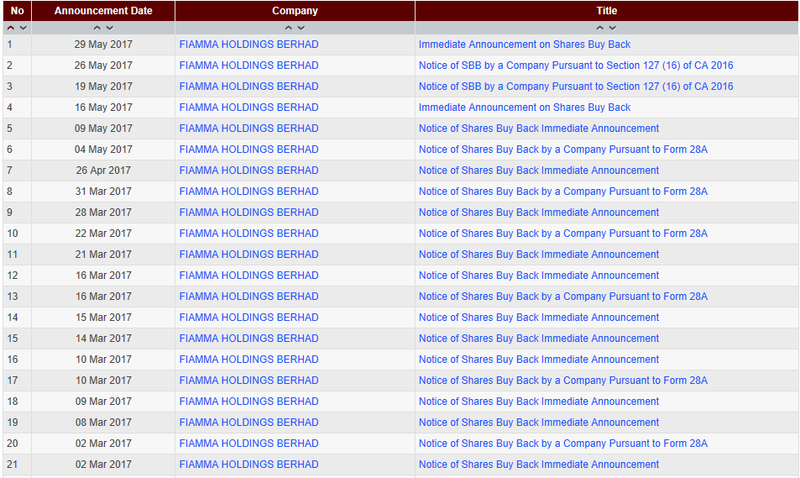 However, on the other hand, company keep on perform "Share Buy Back" as well. 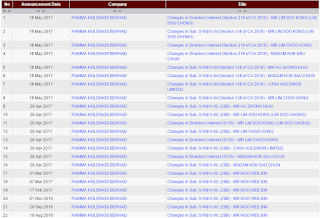 That might be the reason, why the share price keep on consolidate sideway ?